Clarke’s Discount is a local shop in Aloha, OR, that specializes in cooling system service and repairs for Asian and Domestic makes and models. We offer a free diagnosis with every visit so customers can rest assured that their vehicle is receiving the correct service to fix the problem. Radiator repairs and cooling system pressure tests: Think you may have a radiator leak or a blown head gasket? 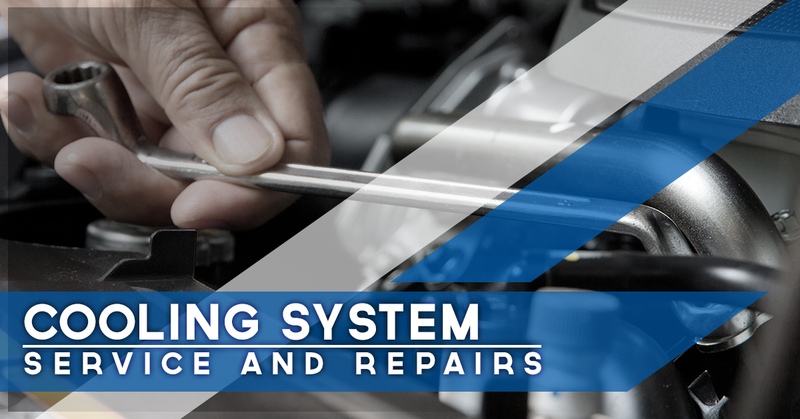 The cooling system pressure tests pumps air into the engine block, cylinder heads, coolant hoses, heater core, and radiator to identify problems which can then lead to repairs. New replacement radiators: The radiator is the most important part to the car’s cooling system. It keeps excess heat off the engine by passing it through coolant before it circulates the air back into the engine. Over time, the radiator may need to be replaced to avoid the engine from overheating or catching on fire. Water pump service: The actual water pump moves the coolant fluid through the cooling system to regulate engine temperature. If the water pump fails to do its job, the entire engine can overheat. Thermostats: Just like your home thermostat tells the heater or A/C unit when to kick on, the thermostat in the cooling system tells the other components when air and water must be moved in and out of the engine for best performance. A faulty thermostat can result in costly repairs. Freeze plug/expansion plug service: A part of many names, the freeze plug (or expansion plug, frost plug, engine block plug, core plug, or Welch plugs – phew!) essentially prevents the engine from bursting or cracking when it runs out of antifreeze and the water begins to freeze on its own. The freeze plug is supposed to pop out so the water has somewhere to go, thus saving your engine. This service makes sure the freeze plugs are in good condition so they do, in fact, pop out if the time comes instead of staying put and letting the engine crack. Cylinder head gasket and cylinder head service: Maximum engine performance relies on healthy and fully functional cylinder heads. This service typically includes valve jobs as well as seat and guide replacement. Cooling system fluid flush: A coolant flush is necessary to keep the radiator well lubricated as well as to remove any unnecessary toxins and pollutants from inside the system. A fluid flush typically includes chemically cleaning the radiator and system, draining old coolant, refilling with new coolant, and checking for any leaks or issues with fan operation. Coolant exchange service: The fluid flush service mentioned above is one way to clean the system. Another is through a coolant exchange service in which the current fluids are completely flushed out of the system before any new fluids are added in. This is thought to be a cleaner, more efficient service for exchanging coolant system fluids. Electrical repairs to dashboard monitoring lights and gauges: The first indication to you that something may be wrong with your vehicle is the Check Engine light and others on your dashboard. When lights flash on the dash or gauges aren’t reading as normal, that’s a clear sign to schedule an appointment with a mechanic to investigate the problem. However, sometimes these lights and gauges malfunction instead of the parts they are attempting to report. These can be simple fixes that help you on the road to proper vehicle maintenance.